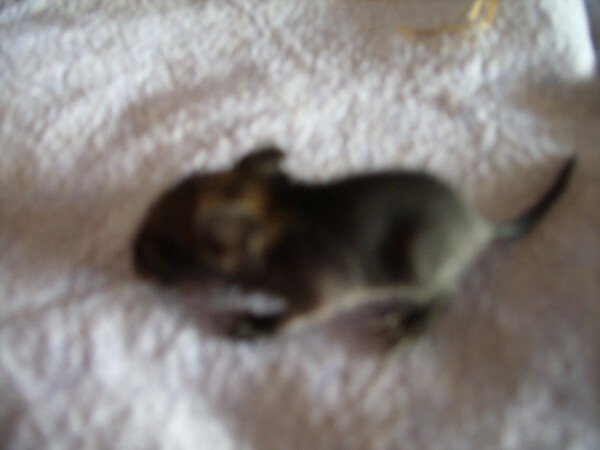 Thuesday Derek gave bith to first 7 Degu babies, where 2 were still born. Derek and Stiles were doing fine, Stiles making a nest with all the hay I put into the cage, so they were good. So all in all Derek had 11 babies, as two died yesterday. I also found one tiny one lying all alone, cold and unmoving. I got him out and the started moving a tiny bit. I named him Victor for Victory if he survived. I warmed him in my hands and then wrapped him in a little cloth. Then I fed him milk one half drop at a time. He peed on me as a thank you. After holding him 3 hours I put him back into the cage. The next time I touched him and gave him milk he was warm and drank a little. But2 hours later he was cold again, but I put him back in the hay nest and went to bed. 11 babies was probably too much for her. Victor was barely alive and he died in my hands, while I was feeding him cream with water. 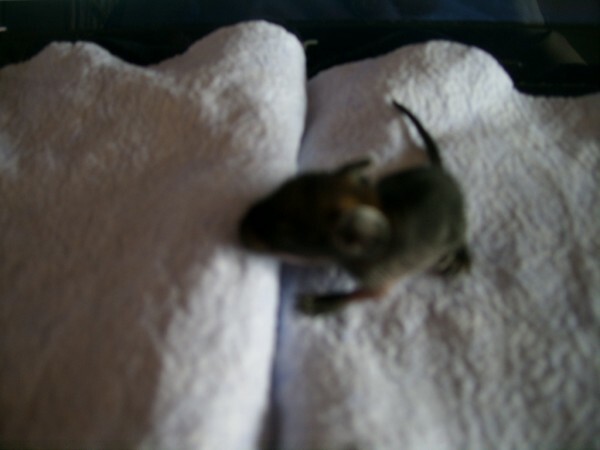 When I went to get the last eight babies to feed them, another had died. I didn`t know what to do, so I called the place where I bought Stiles and Derek. They told me to call my Vet. After going through several Vets, I found one that told me that there are a plant based powder that you mix with water and feed the babies with a syringe around the clock. Mum and I went and bought two bags and when I got home the last seven babies was warm and alive. STiles is a great dad. So just finished the feeding, one more before bed and them up sometime during the night to feed them again. Same feeding around the clock over the weekend, then they me strong enough to eat the powder stuff from a saucer. Oh no. I'm so sorry to hear you've lost Derek as well as those babies. Big hugs, sweetie. Lots and lots of luck to you in caring for the other babies, will be sending good thoughts and positive vibes. Keep us updated, okay? Sadly we have lost the babies.